Mon 5 Nov Newcastle, NSW. 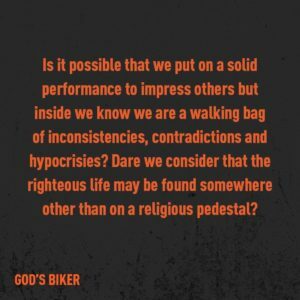 Macquarie Life Church – more info to follow. 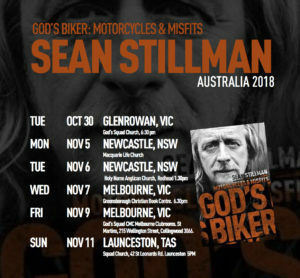 Tue 30 Oct Glenrowan, Victoria. Glenrowan God’s Squad Church, 12 Glenrowan-Moyhu Rd, Glenrowan, 3675, VIC. 6:30 pm (Bring something to share to eat). 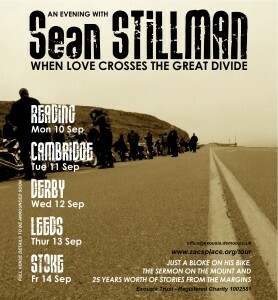 All events at 7.30pm unless specified otherwise. Free entry but donations towards Zac’s Place will be accepted. Sean will not generally be available for itinerant engagements in 2017 due to an extended period of writing and study. See the What’s On link for regular Zac’s Place gatherings & also check out the Special Events tab too. Sun 28 June 2015 – Sean will be speaking at the Swansea Hope Celebration, St Helen’s Rugby Ground. 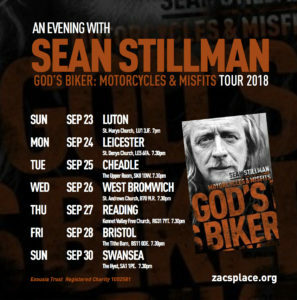 Tues 19th Feb – Palmerstone North 7.00pm at Wesley Broadway Methodist church 264 Broadway Ave.
Sean Stillman (Zac’s Place and God’s Squad) takes to the road in September 2012 for a series of dates to enthuse about mission to the margins. 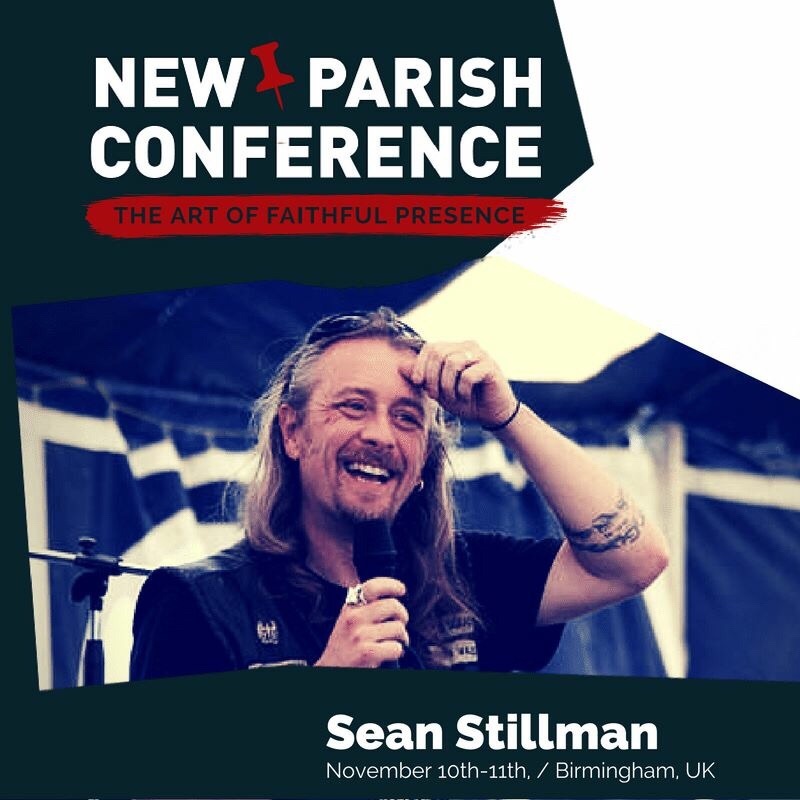 It provides an opportunity for anyone seriously engaged in or wanting to be engaged in mission on the fringes to hear from an experienced practitioner who’s found his home amid the chaotic street community, bikers, artists and many living in a cycle of destructive patterns of behaviour. Just a bloke on his bike, the sermon on the mount and 25 years worth of stories from the margins. Harehills Lane Baptist Church, LS8 4HF. “Encouraging, uplifting, honest, down to earth and to the point!